In recent years, the timeless musical genius of Michael Regina has come to the forefront during our post-modern era. His maestro extraordinaire and multi-instrumentalist has released four albums within twelve months. Earlier this year, I had the blessed opportunity of getting thoroughly acquainted with Regina’s work and writing a review for his classic album Ascension. Regina’s relentless passion for the craft has not only provided him with the inspiration to create such a huge catalog of music, but also use this driving force as a tool to create personal and social evolution. As a musical veteran with experience in many genres, Regina knows the depth of music’s transformational qualities. Expanding on some of the concepts that inspired his previous album Ascension, Regina with a complete cinematic offering that is sure to boost his reputation as one of the brilliant composers of our time; A Far Better World is here! 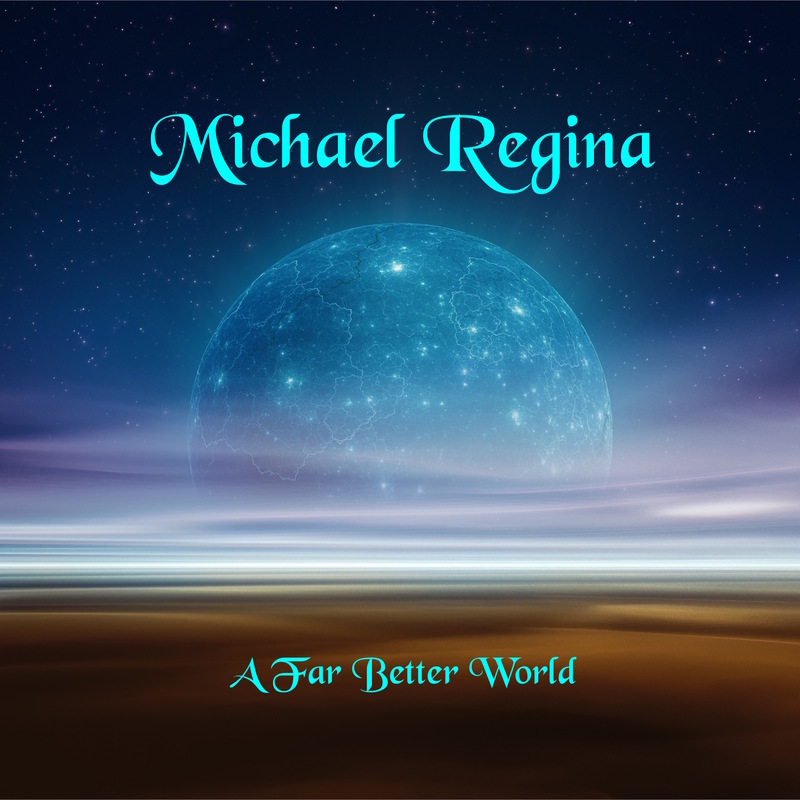 A Far Better World is Michael Regina’s fourth album release in less than twelve months. Consisting of eleven epic tracks, A Far Better World is masterful with its methodology in structure and spiritual themes that are expanded upon through instrumentation. Listeners will find A Far Better World charming and full of meaning. Below is a summation of each track in terms of its emotional impression and feel. 1-Genesis 1: The first track is a perfect way of saying “in the beginning”. As light flows from the depths of darkness, it is the illumination of our consciousness that is in the process of unfolding in this musical journey that Regina has carefully paved. 2-Tomorrow’s Realm: A track that helps us ponder the future by planning our course through current actions. Tomorrow’s Realm has a hypnotic beat that works as a cerebral to-do-list for thoughts of tomorrow. 3-Continue M: Nice opening with an overlay of electronic sounds that seemed to unravel into and out of each other. The track’s foreboding backdrop breeds tension and some conflicting truths. 4-Peace and Time: Regina has an incredible method of explaining abstract concepts through sound. Time is motion and peace is the sentences that are being spoken by keyboards and synthesizers. 5-Lullaby to the Stars: We are kept in a vault with the stars that shine above us. 6-A Far Better World: The title track and themed exodus of self-renewal and its prosperous future. 7- Lunar Lounge: A soft melodic landscape that accentuates the pleasures of just being in one’s own mind. Mystics and other practitioners of spiritualism will understand Regina’s efforts as a translation in the consciousness of the Kabbalistic spheres. 8-Cool Space: An upbeat groove that explodes into this rhythmic sense of urgency. But at the end of the day, everything is cool. 9-Light Years Away: Built from a landscape of synthesizers and voice, listeners are led in what appears to be a dimension that overshadows time. 10-With Honor: Understanding the laws of honor and virtue are essential in all our spiritual undertakings. The track’s melodic harp sounds and orchestral landscape creates an atmosphere that brings out the best in ourselves. 11-Dream Within A Dream: Regina concludes this epic work with sonic luster and the dignity of awareness. Michael Regina has put forth yet another timeless classic that is rich in meaning and structure. This masterpiece is an ambassador for the motion and movements of the heavenly bodies that affect us all. A Far Better World is within our midst and is waiting to be unveiled by those who appreciate music as a fine art.